New, clean energy is safe and affordable. It’s non-negotiable if we’re going to prevent the worst of climate change and reduce power bills over the years to come. People on low incomes are hit hardest by high energy costs, with no wiggle room in household budgets to absorb price rises. Climate change most affects people with little money and capacity to adapt, including people living in homes and communities offering few protections against weather extremes. Unless we act swiftly to reduce carbon emissions, climate change will entrench disadvantage and endanger Victorians’ lives. While we need to reduce emissions across the economy, the energy sector is ‘ground zero’, because it has proven cost-effective clean technology, and can support emissions reductions in other sectors. At this Victorian election, VCOSS calls on all parties to adopt a solid, sensible plan to gradually remove carbon-intensive power stations over time and replace them with clean, affordable alternatives. New energy projects will be stymied without a clear, enduring and stable investment environment. Victoria can be a renewable energy powerhouse. 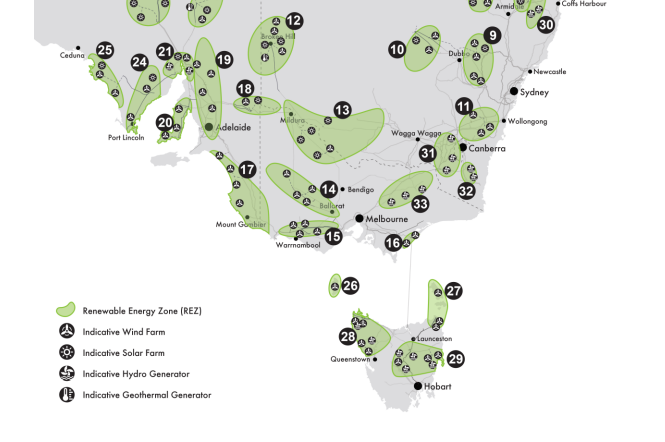 The Australian Energy Market Operator has mapped our great potential, including our plentiful sun and wind resources. Victoria can enjoy new clean energy industries, bringing long term jobs, and helping reduce power bills for low-income families. We’re already seeing Victorian leadership towards a clean energy future. VCOSS supports the Victorian Climate Change Act 2017 and the Victorian Renewable Energy Target (VRET), to power Victoria with 25 per cent renewable energy by 2020, and 40 per cent renewable energy by 2025. The Labor Party has promised 50 per cent renewable energy by 2030. The VRET’s first round injects over 900 megawatts of energy supply. This is almost two thirds of the energy the coal-fired Hazelwood power station once supplied, helping take the heat off wholesale electricity prices. This first round is government funded and not recouped through people’s power bills. Clean energy doesn’t have to mean more expensive energy. Indeed, at the federal level, modelling by ACOSS and the Brotherhood of St Laurence shows ambitious emissions reduction targets give us more ‘bang for our buck’. Doubling the emissions drop generates similar bill savings as a low-ball (or no) emissions reduction target. Despite these positive developments Victoria’s clean energy future is in doubt. The Liberal Party will abolish the VRET if elected, and tender for a new power station to supply 500 megawatts of energy. They will award the bid to the lowest cost supplier meeting supply security requirements. VCOSS hopes this produces clean energy, but we fear it will return to high emission technologies. Victorians doing it tough know all too well energy bills are a struggle and that climate change is a real, immediate threat. As we head into the election, VCOSS members in East Gippsland are battling drought and trying to protect their community from unseasonal fire risks, while many Victorians are grappling with high energy bills. Much more needs to be done, and we call on all parties to commit to new, clean energy supply to help tackle both climate change and rising energy costs. Victoria’s major parties must find some common ground.